Discover a part of the world that’s getting noticed for its beautiful landscapes and its warm people. 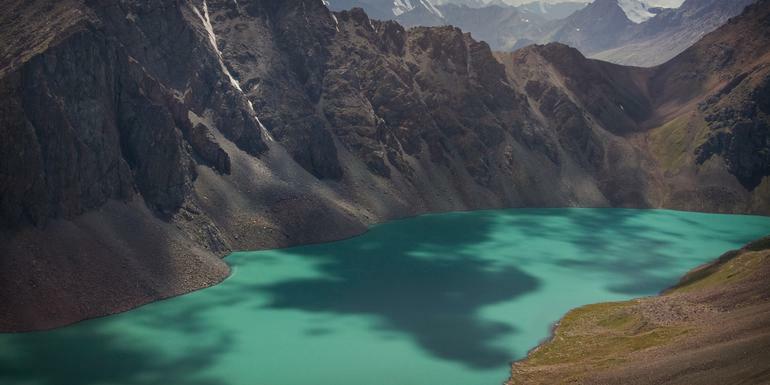 This 9-day tour takes you off the beaten tourist path and into the cultures of Kazakhstan and Kyrgyzstan. Begin in Almaty and drive through the stunning Charyn Canyon. Spend one night in a traditional yurt and get to know the welcoming families of the nomadic Kyrgyz culture. Enjoy city time in Bishkek as well as optional activities like day hikes and horseback riding to get you closer to the stunning nature here. Hotels/guesthouses (5 nts), yurt (2 nts), CBT houses (1 nts). Local Living: CBT Homestay, Chong-Kemin. City tour (Almaty). Charyn Canyon stop. Karakol city tour (half-day). Yurt building presentation (Ak Orgo). Felt-making workshop visit. Community-based tourism (CBT) stay. Burana Tower visit. Half-day city tour (Bishkek). Transport to/from all included activities and between destinations.